Martin is a versatile guitar instructor with over two decades of experience in providing instruction to all levels of players in many styles of performance. 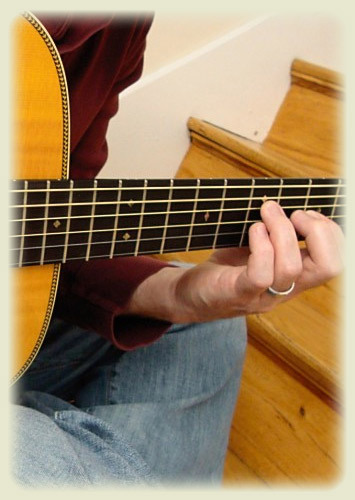 He specializes in fingerstyle, bluegrass, contemporary acoustic, beginning classical, and blues/rock guitar. Martin is accepting new students in South Central Pennsylvania. Lesson times and locations are by arrangement. Please see the "contact" section of this site to get in touch with him.